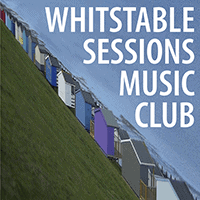 Whitstable Sessions Music Club shared a post. thegulbenkian.co.uk/event/an-evening-with-geoff-muldaur/I've updated my tour page. Shows coming up this summer and fall. Stay tuned here for details. See you there! 12th May. Can’t wait. Danielle Reich Seale Geoff Muldaur - can’t wait! Alister Atkin - you should come. Just a few 100 yards up the hill! Thanks Danny Schmidt Blue Rose Code Siobhan Miller Birds of Chicago Pharis & Jason Romero Olivia Chaney Thunder and Rain all getting mentions if not videos (!) in this months update! Playing live at the Sessions on May 12th. Performing alone with his beautiful voice and delicate guitar playing, singer/songwriter Danny Schmidt will be playing live at The Whitstable Sessions on May 12th. Based in Austin Texas, Danny was named in the Chicago Tribune's list of the "50 Most Significant Songwriters in the Last 50 Years.’ He has amassed a cult following for his poetic, poignant lyrics. With a craftsmanship and emotional depth drawing comparisons to Leonard Cohen and Townes Van Zandt, Schmidt is considered a preeminent writer. Sing Out Magazine proclaimed that: "Schmidt is a force of nature: a blue moon, a hundred-year flood, an avalanche of a singer-songwriter. His songs are a flood of poetry, mythology, folk wisdom, and surprise. He is perhaps the best new songwriter we've heard in the last 15 years." Thank y'all for hosting me. I'm very much looking forward to being back in your beautiful corner of the country and sharing some songs at Whitstable. See you soon! Congratulations to The Birds of Chicago who scooped the main award at this year's WSMAs. The were voted best Session of 2018 and one of our coveted awards will be on its way to them soon. They can add it to their collection ...they won 3 in 2014. Whitstable loves the Birds ! Thanks Aspasia Allison Russell Jeremy Thomas Lindsay JT and Alli! See you soon. It was a great night! It’s a total pleasure! Thanks Loudon. Another ⭐️⭐️⭐️⭐️⭐️ review from our UK tour, the band are red hot at the moment and, if you haven't yet managed to get to a date, DO NOT miss out, plenty to come! The tour continues on WEDNESDAY, come on out to see us play! Saturday July 13th at The Gulbenkian, University Of Kent, Canterbury. Five original members of the Penguin Cafe Orchestra perform the beautiful and incredible music they created with Simon Jeffes and the Orchestra. Genockey, long standing member of Steeleye Span, also performed with the original band. They done the music for the film Malcolm. Gr8 film !!!! The Gulbenkian - looking forward to this immensely. Thanks The Gulbenkian!